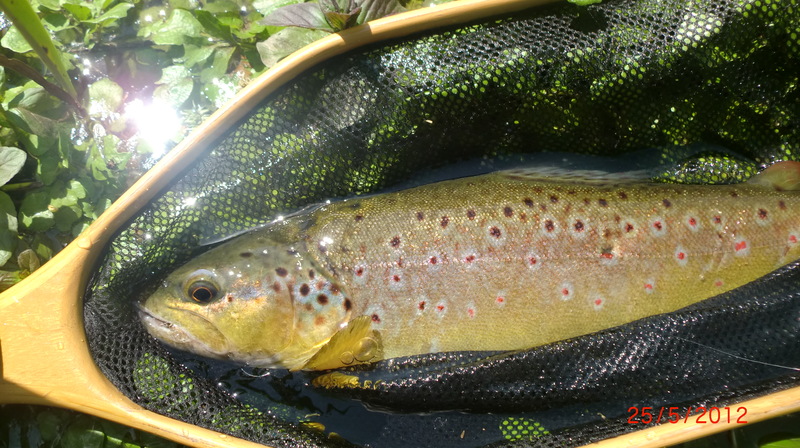 This new page is dedicated to the clubs and individuals who generously have offered access to their water to supporters of the WTT, whose ambition to fish some exclusive beats have fuelled some impressive contributions to WTT funds. It also recognises the incredible dedication of Denise Ashton who organises and manages this amazing program, which now contributes more than £50000 per annum, to the WTT’s important works. As I have remarked previously, this seems to me to be the ideal ‘win – win’ situation, and I have enjoyed the six experiences of which I write, immensely. A busy summer last year meant that I was unable to take up this Lot, but Roger Smith kindly agreed that I could this year. 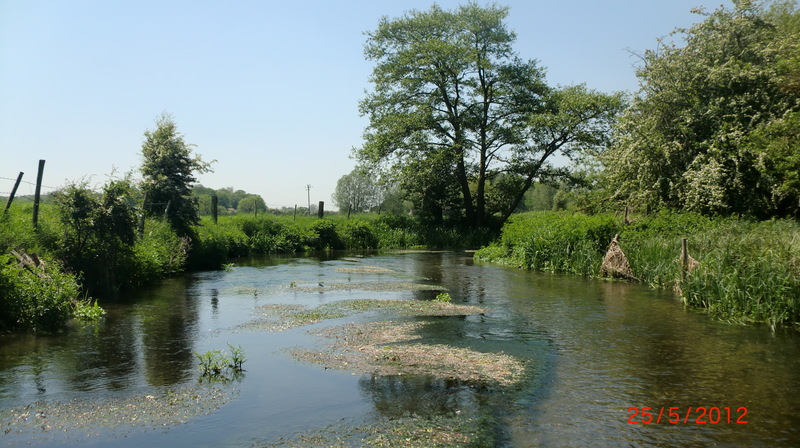 When the weathers made even this look unlikely, I could not abide having to make a similar appeal as last year, and the opportunity to head a few miles north up the M5 after enjoying the Little Avon, in my end of season ‘dash’, prompted a note to Roger who….well, see what follows! 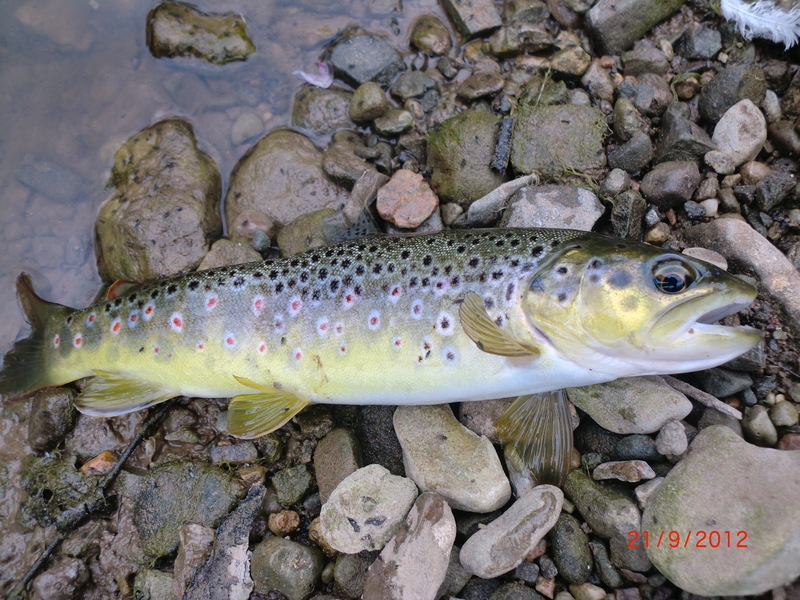 I over-nighted in historic Malvern and the next morning, I met Roger near Storridge then we drove the few miles through narrow country lanes to the beat, which is leased to the Leigh & Cradley Brook Fishery. 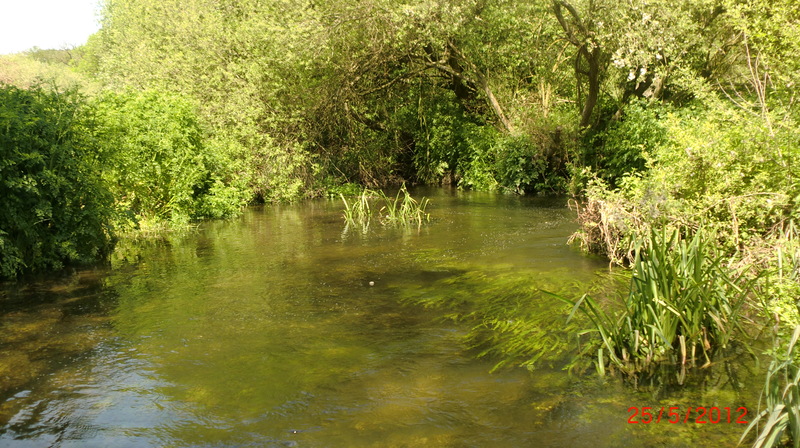 Roger explained that the Brooks are in fact one, and this beat of circa one mile was fishing well, and that a ‘clink and dink’ rig was the preferred one. 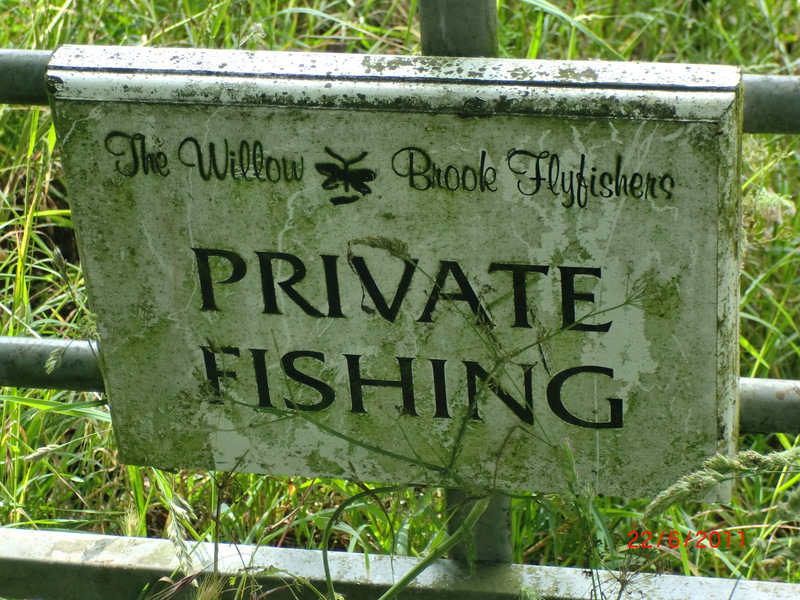 In truth, we spent more time chatting broadly as keen anglers do, and he was flattered to be asked to sign a copy of his book, ‘Flyfishing the Welsh Borderlands’, a splendid guide and compendium of the history of fishing in this region, ideas on how access its multitude of streams and rivers, and the flies which have been used with success over many years. It was published by Coch-y-Bonddu Books last year, to great acclaim. 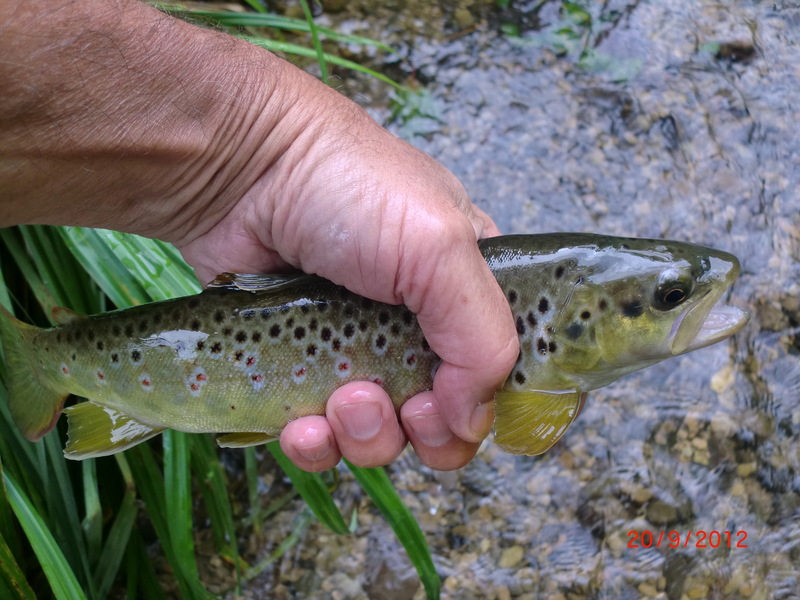 A convert to tenkara (he wrote to tell me of his six fish from the Wye later the same day); an Area Secretary of the Grayling Society; a busy man and passionate fisher, I wish we had had more time together. I know that I would have learned much from him. 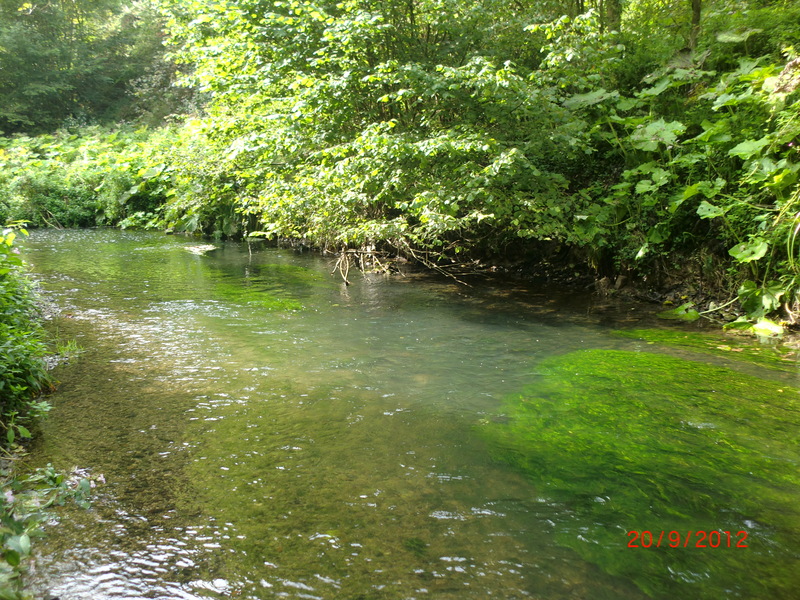 Downstream from there, it is still narrow, wooded and overhung; there are many subsurface features, mainly fallen limbs and root systems; little weed of any substance, at least when I was there; and long flat shallow glides where wading had to be done so carefully. Access from above was over wired fences to keep cattle from stumbling into the stream, and through tall nettles of five feet and more, or dying fronds of various wild flowers. 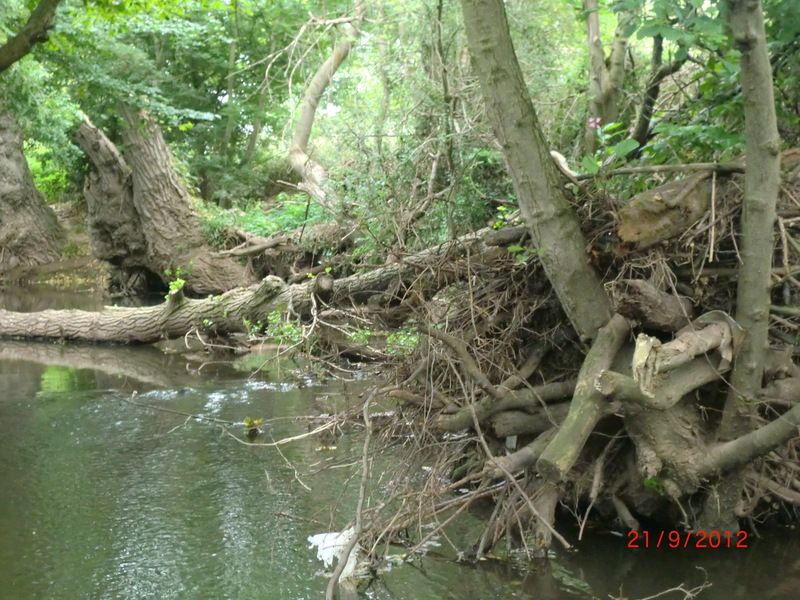 Piles of bank side debris, suggested severe floodwaters from time to time, and served as a reminder of the care and respect that even the smallest of streams demands. and there was only one more, sometime later on a PTN, after I relented and went subsurface. 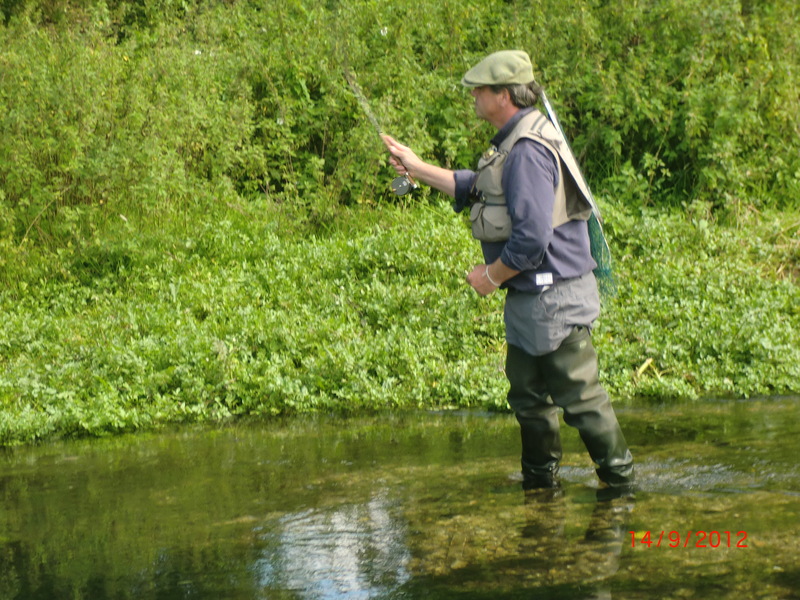 Memo to me – perhaps I would have had more fish if I had followed Roger’s advice!! 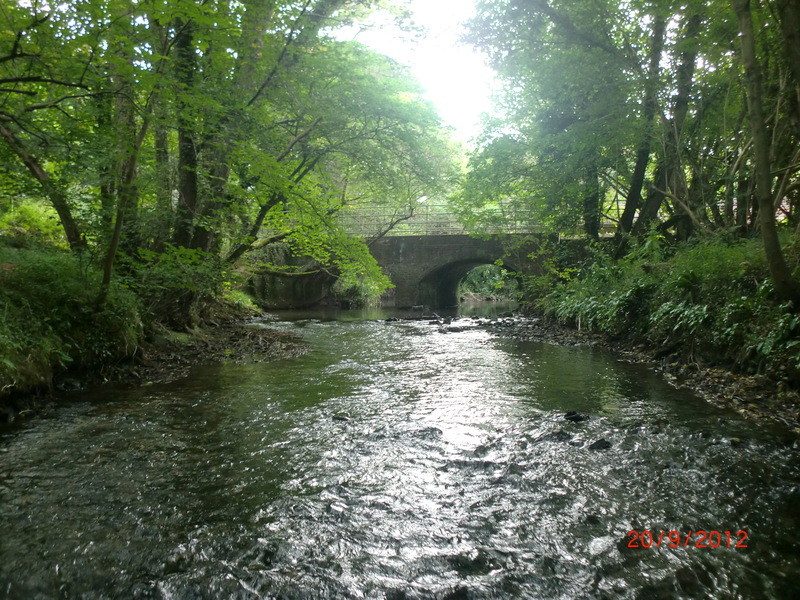 Avon, Afon, or Abona… an old Brythonic word, and all three mean ‘river’, hence, the ’little river’. 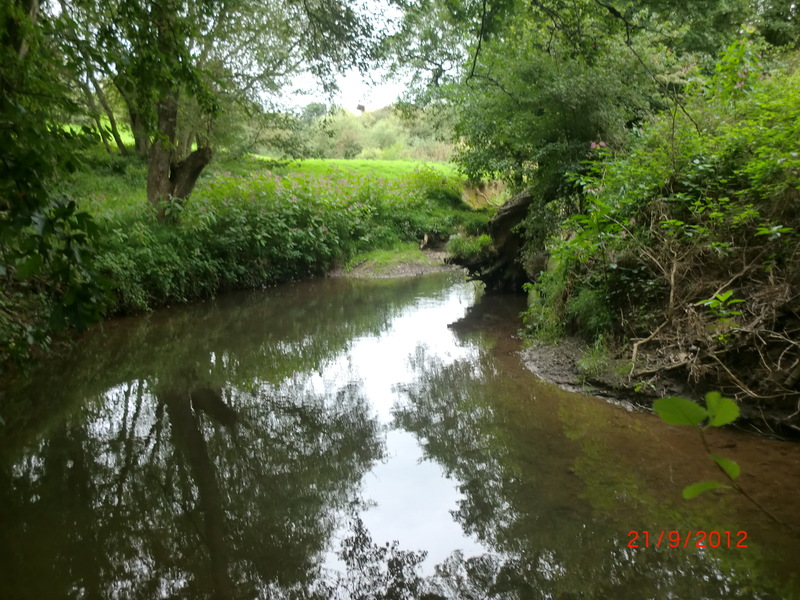 And so this is, flowing as it does, from the east of Wickwar, near Horton, passing near Charfield, Stone and Berkeley, and entering the River Severn via Berkeley Pill. In total, probably no more than fifteen miles in length, and for most of it, of a width of mere feet. through the seven miles to Berkeley Castle. 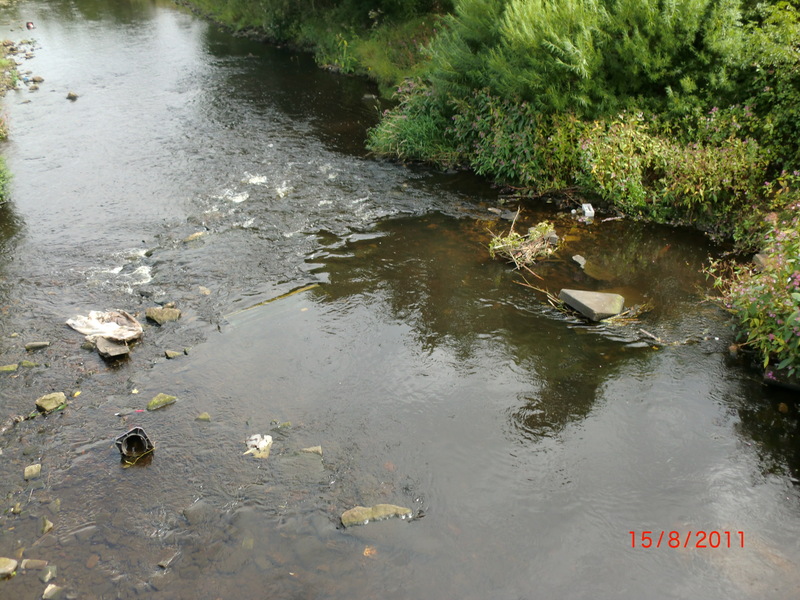 The Club is active in the River Fly Monitoring Programme. My host was Toby Jefferies, and in our early correspondence, he hoped that I could come down in the May season, but as we all know…! Well I had all but given up hope for this year, when a window, both in time, and luckily in weather terms, presented itself, and I was delighted when Toby gave the ’thumbs up’ to a September visit. 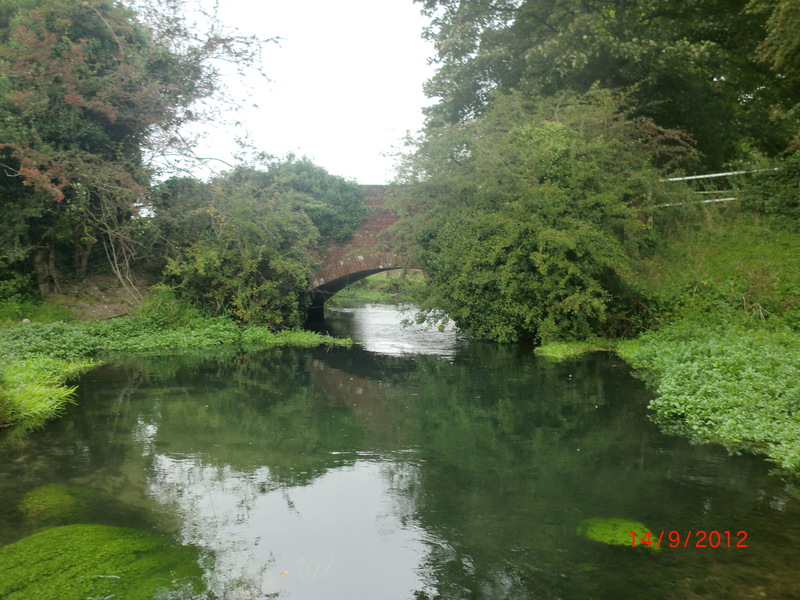 “There is circa 6 miles of river from The Kennel’s Bridge, opposite the Berkeley Castle Meadow … running to Damery Bridge, which is set in amongst St Michael Wood (near the M5 service station of the same name). 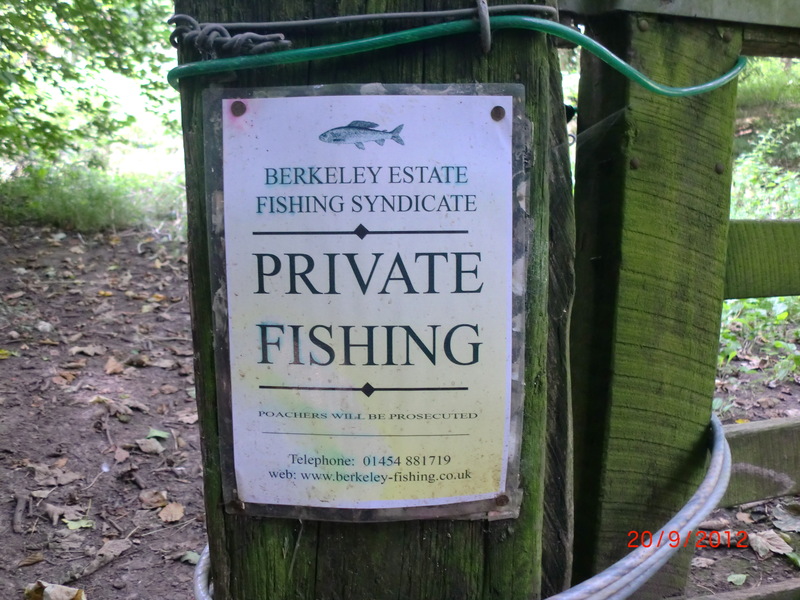 The best fly fishing sections are a short section near the A38 called cascades and then two longer sections, through from Middle Mill to the M5 (tree lined, tight and a little tricky, so fished less than some spots) and from the M5 to Damery Bridge which is the most picturesque (and fished more heavily). a rising fish (at 930-ish) excited! 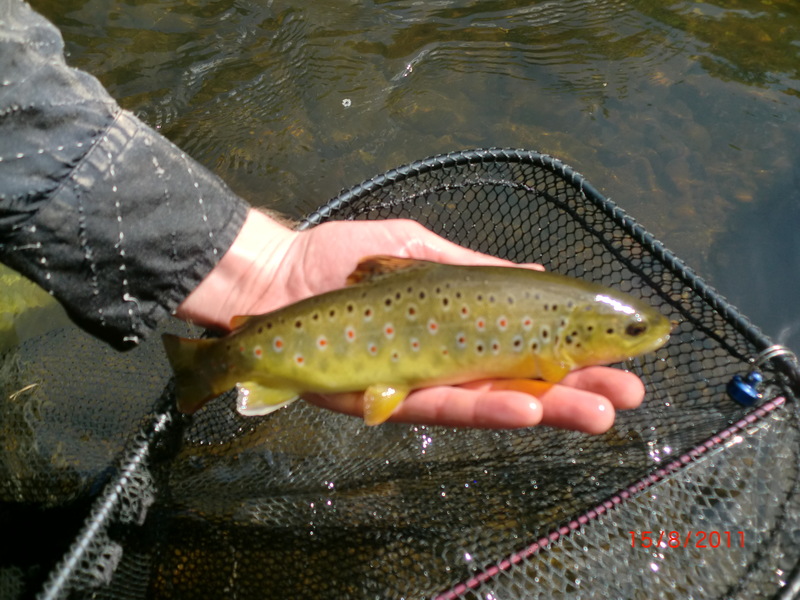 and two casts later, a fish of six ounces or so, splashed its way into my net. 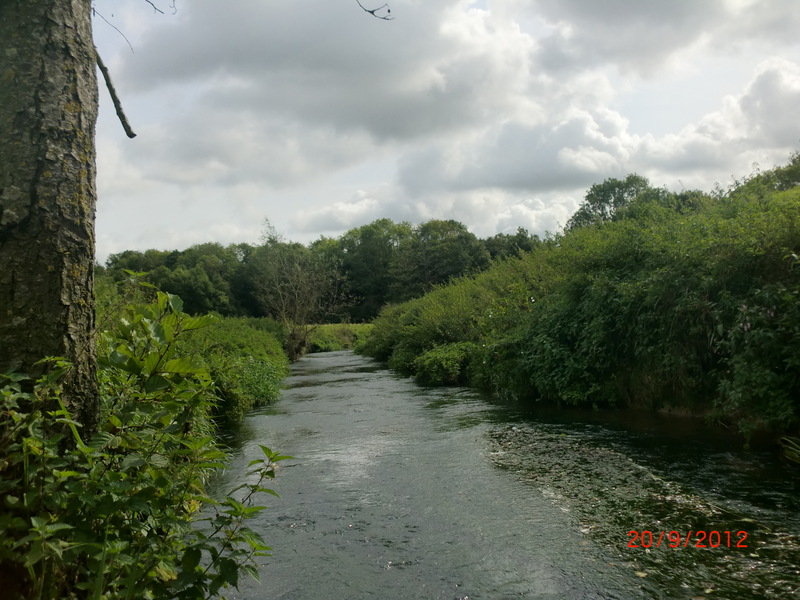 I took my time moving upstream, noting that the bottom of the river was gravely in part and produced very easy wading, but eager to avoid rippling by leaning into the side of the stream, released clouds of muddy waters, from its silted sides. No doubt winter rains flush this through during the closed season, and I bet this cleaned stream looks pristine in Spring! 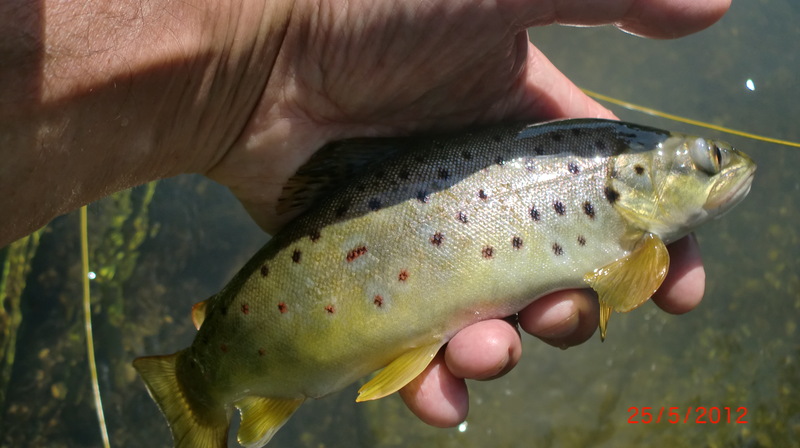 It is really pretty, and at its upper reach has enough weed for cover and good flylife, and at this late stage in the season fish rose all morning, and I was happy to take four browns and a solitary grayling, under sunny skies. And all of my fish were taken on Toby tied flies!! 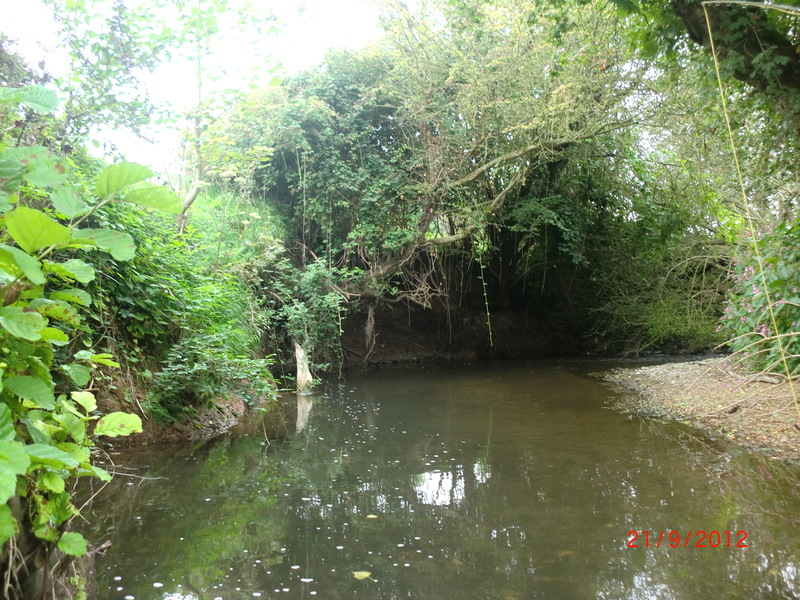 The Cascades, downstream of the A38 are another matter. 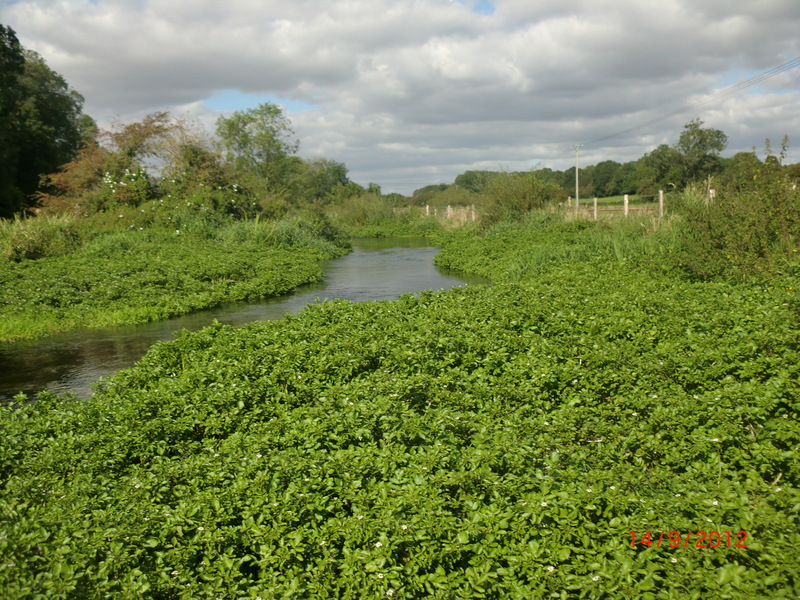 and in spite of a sandy bottom, the weed growth is prolific, even with the unwelcome presence of four swans. 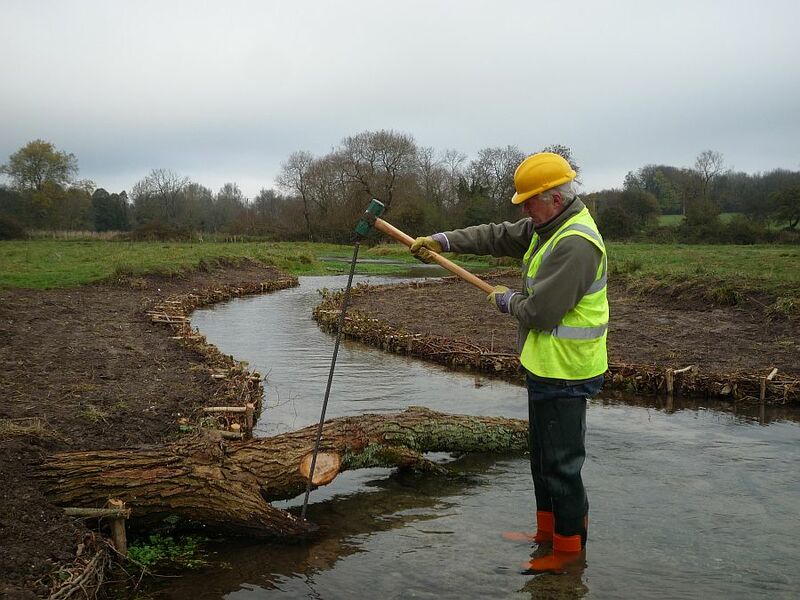 So named after debris from roadmaking was carefully positioned to create flow and feature, Toby had told me this stretch fishes well toward dusk, and at 1pm, I saw only a couple of fish rising just down from the right hand culvert, and netted one of them. 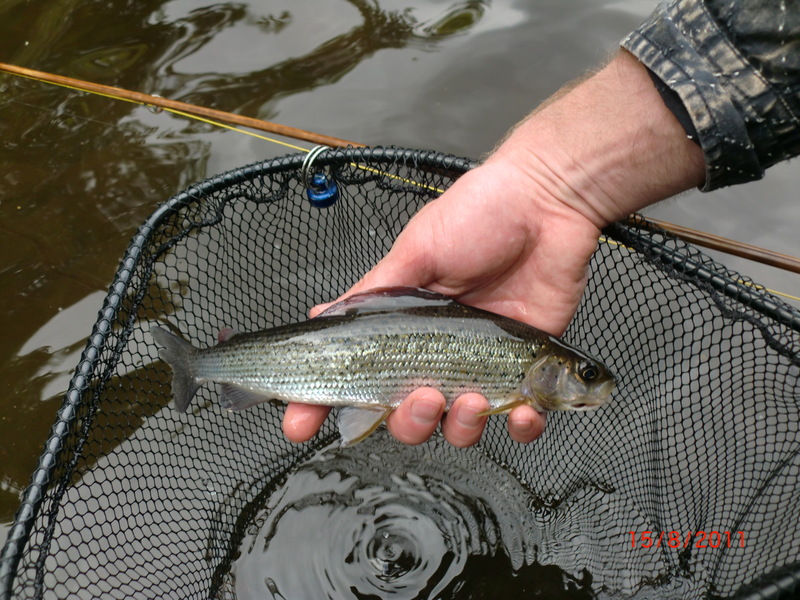 I had to fish to try the middle section, too, at Middle Mill, and a PTN in the deep waters of the mill pool, yielded another grayling. Of the three beats, I preferred the seclusion and the intimacy of the top water where scrambling onto roots whose anchoring earths had been washed away got one into two or three feet of cool clear water, and where there was in the overhanging mix of bush, canopy of mature trees, and flowing weeds, plenty of security for a good head of wild fish; and foodstuff aplenty to satisfy them. A small stream of the type I adore. 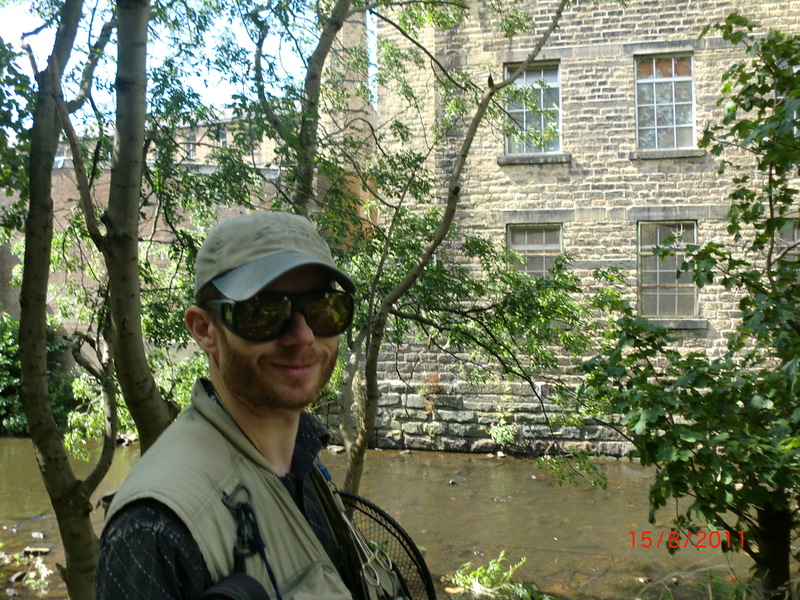 Also, Toby writes his own blog which chronicles the year of his river, and I thank him for his kind words! 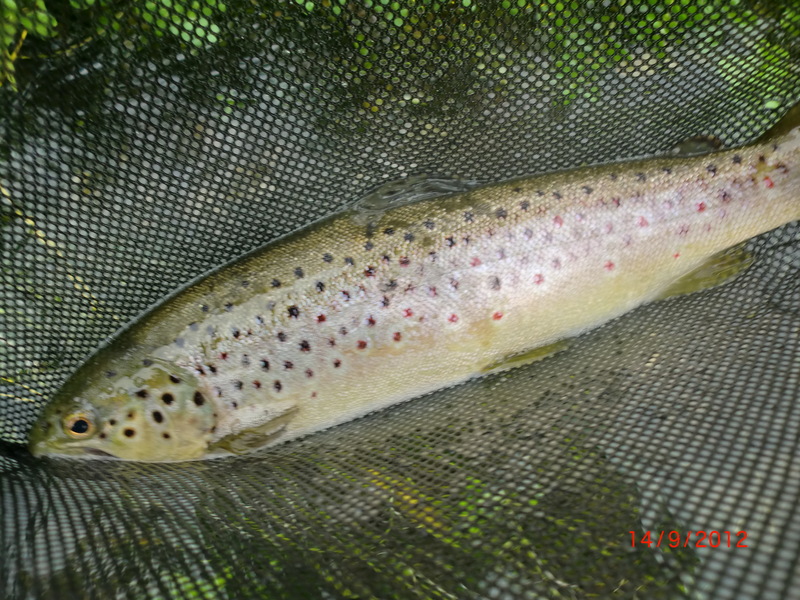 Maybe it was ‘Botham on the fly’ which made me want to fish this beat. 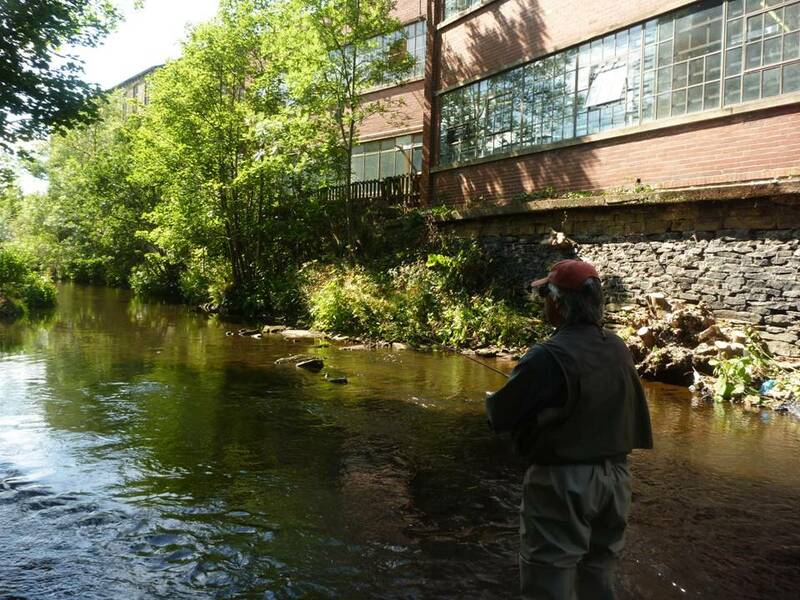 I fished with Beefy on the Tummel near Pitlochry, in the mid-eighties, when he was taking a short break from the first of his many Hannibal-esque charity walks, and I was living in Edinburgh. I remember that the rest of us were taking a dram of J&B well after dark, when he was still on the water. 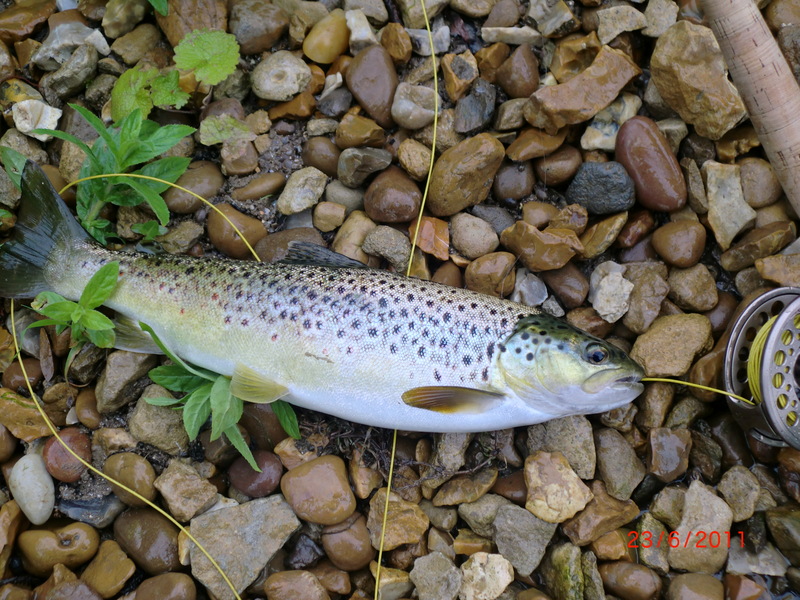 When he appeared, he was grinning with satisfaction, and rightly so, as he revealed a 5lb sea trout…there may be a message here…you decide! Or maybe it was because he was accompanied on this particular episode of this Discovery Shed series, by one of my favourite rock stars….who I happened to bump into at Keflavik when returning from this year’s trip to Iceland with Fraser, just few months ago? It matters nil! 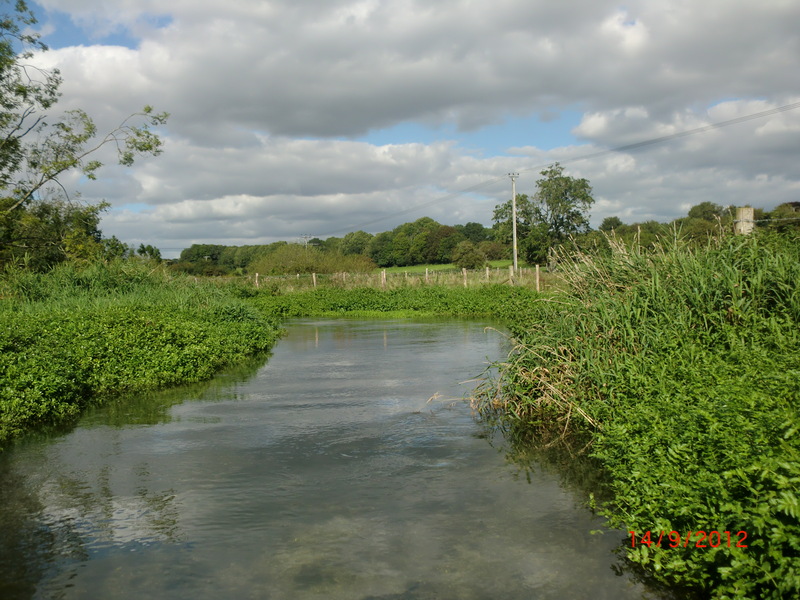 In my view, the Meon, a pristine chalk stream, has equal claim to quality as some of its more famous Hampshire neighbours. It is a small classic, though, but just as difficult to access, until the WTT Auction came along! 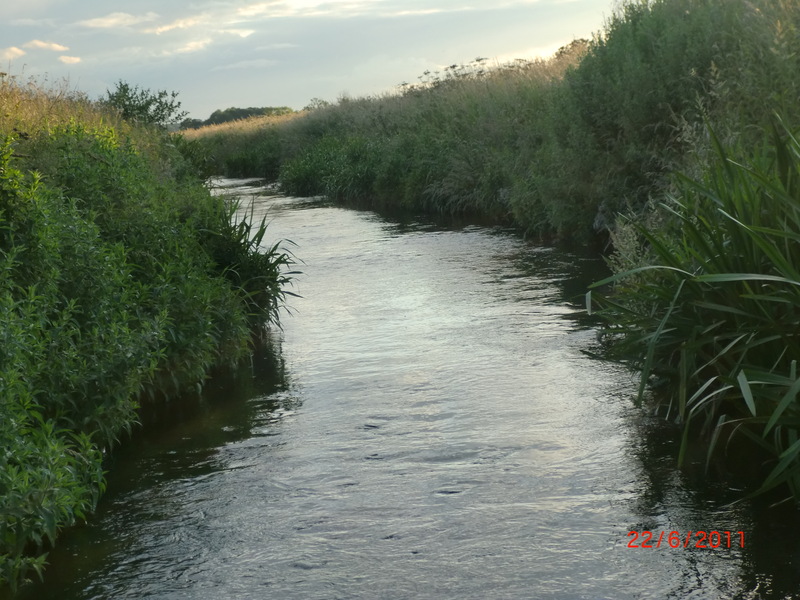 And the WTT has contributed to the conservation of this beat at Soberton, near Droxford, which Howard Taylor lets through his UpStreamDryFly business, which is why Denise came to visit to explain just what had been undertaken. a contributor to the same programme, not only by his generous bidding, but also through offering his stretch of the Chess (one I have been privileged to fish when the Mays are up) to other WTT devotees. 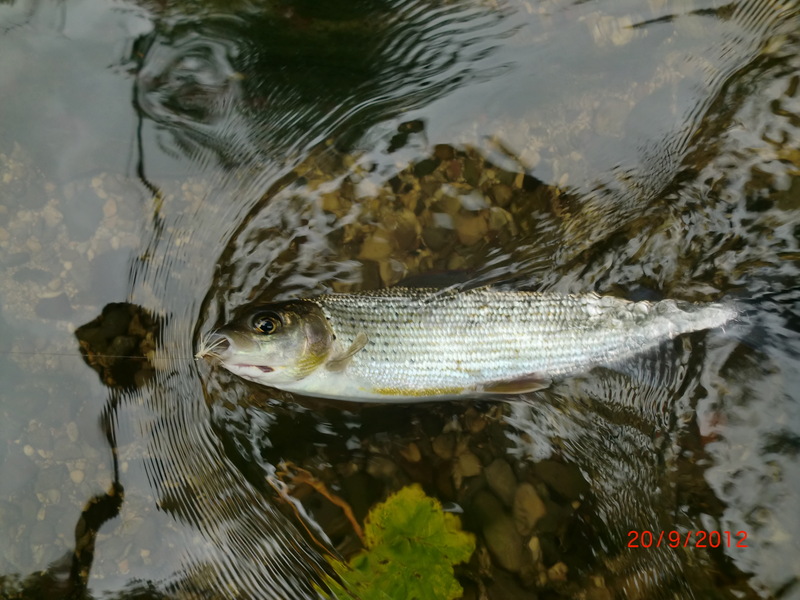 the fish in the deep pool were feeding, and there seemed to be some big chub competing with both small browns, and some sizeable ones, on what was tumbling over the small sill below me. 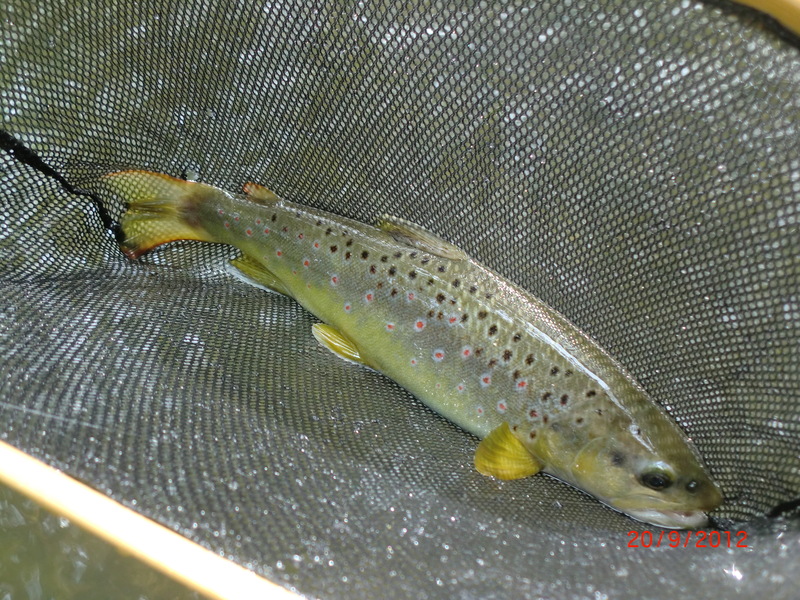 (Denise, later, also advised us that the odd sea trout is to be found in this samepool) Paul arrived a little later than we had both expected (SatNav may not be all that it is made out to be) and by the time he did, I had already had a 1 1/2lb fish to my net on an elk hair caddis. Although it felt just a little like still water fishing, and I would judge that most anglers fish this same pool on arrival, so why the fish are not line shy, I do not know? That the weather on that day was not great is not important. 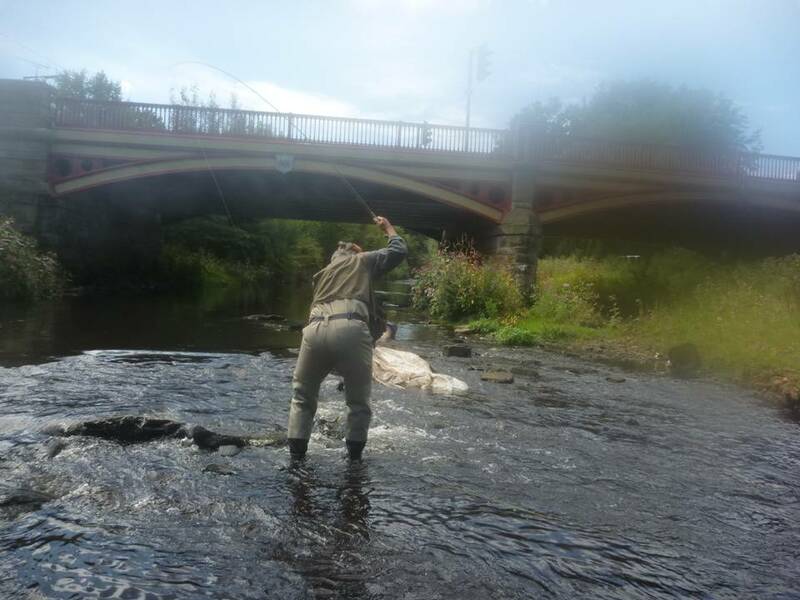 – And, we caught a few fish…a bonus! 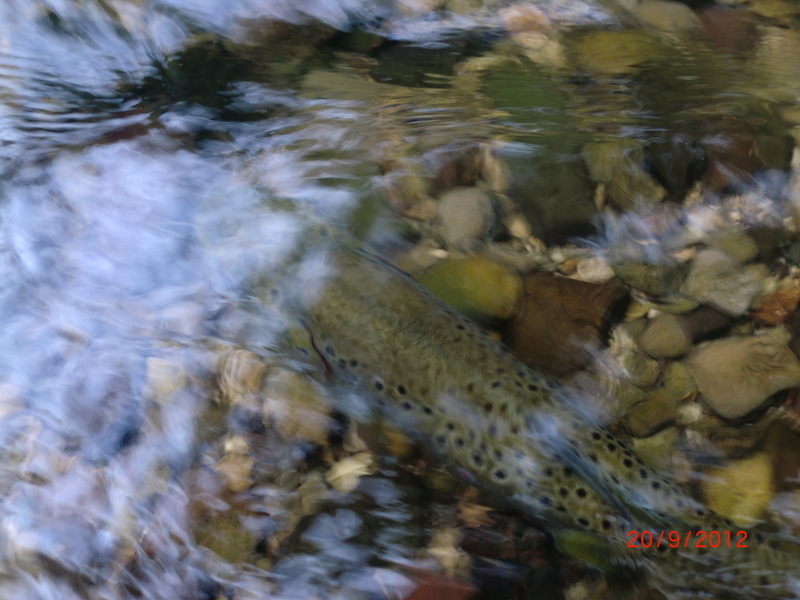 My only ‘advice’ if you want to fish it is…Go for it! BID in 2013 !! 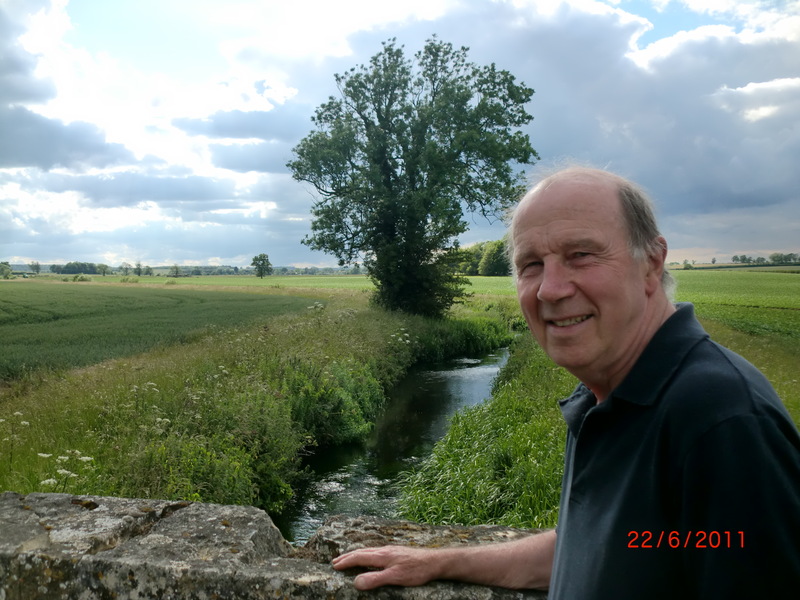 Steve Webster told me about the excellence that is the Loddon in its upper reaches, and a Lot in this year’s Auction gave me an opportunity to try it for myself! water was Tony Richards, and Denise, we all met, on what turned out to be the most glorious end of May mornings on which even the drive out of London on the M3 was a joy. 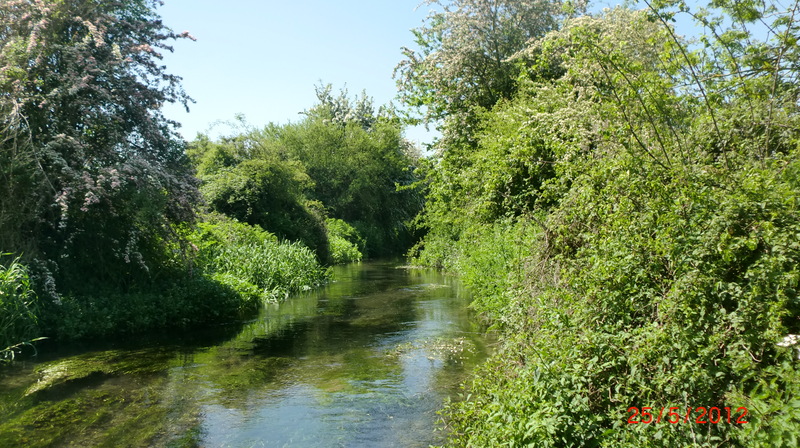 It was one of those special Spring mornings that makes our countryside so exceptional – birdsong and blossom, clear blue skies, bright light and sunshine, and delicious warmth, which sponsored hopes for the Spring idyll of fly hatches and hungry rising fish! and the runs between the streaming weed delivered almost immediately. which in reality were only a stone’s throw from one of Hampshire’s thriving commercial and retail centres, but one ringed by rolling chalk downland, into which’ treasures, one has to hope, the sprawl, is constrained. 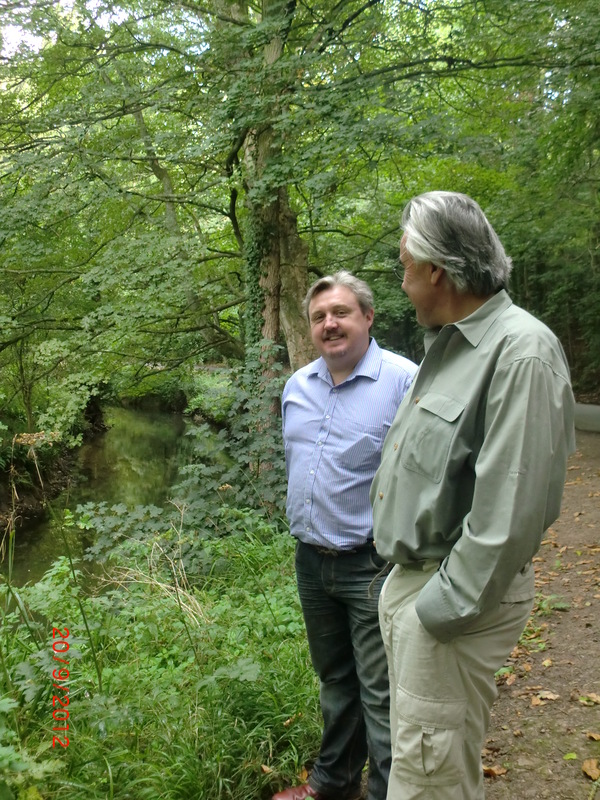 It was a pleasure to witness a visit by an EA team who were there to measure flow strengths. 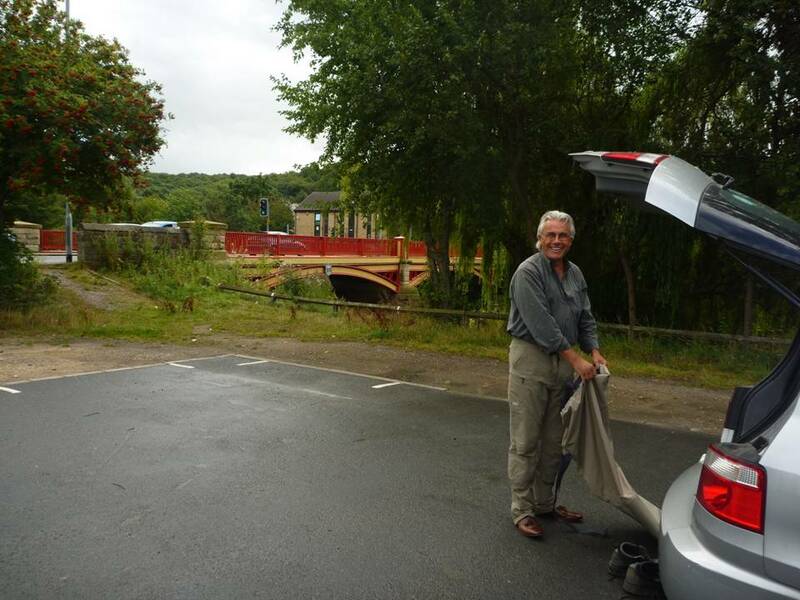 We drove a few miles downstream to Sherfield. 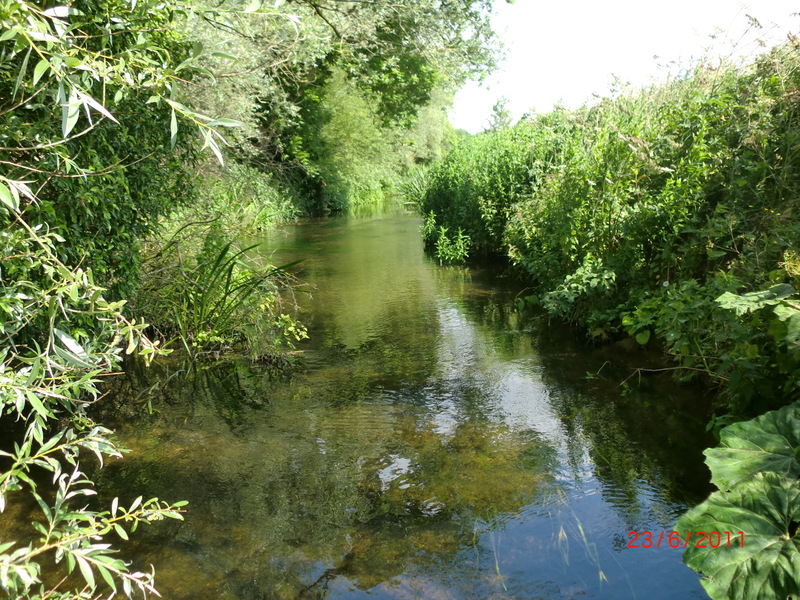 A wade across the diminutive River Lyde was followed by a picnic lunch beside the Loddon where our attention to Tony’s fare, was at once, diverted off stream to watch the meadow’s Fresian herd edging closer in increasing inquisitive mode, then back onto the stream as rises excited. 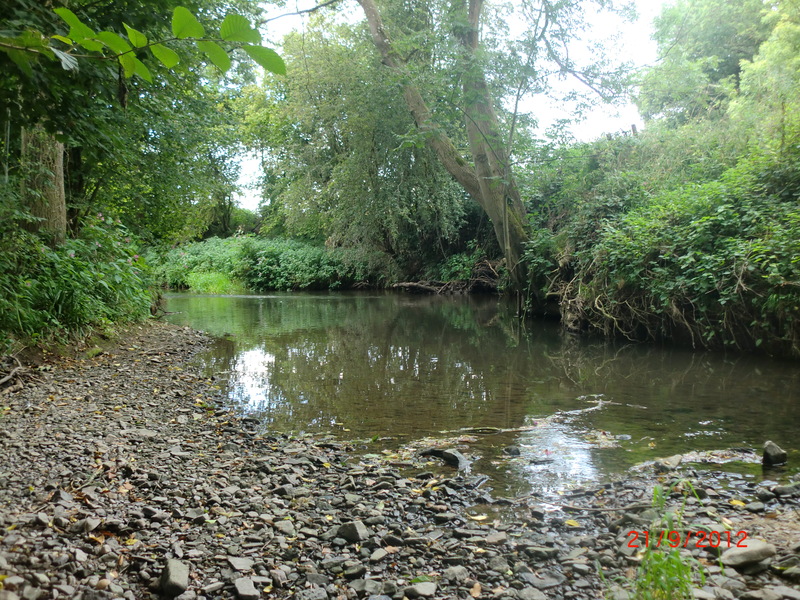 Here the river begins to take on a slower meander, as it meanders between large mature deciduous somethings, and no doubt our prey are matched in number by the roach it must hold. But what we sought are there in number, and on the basis of my success that afternoon, slightly more sizeable too, than at Old Basing. 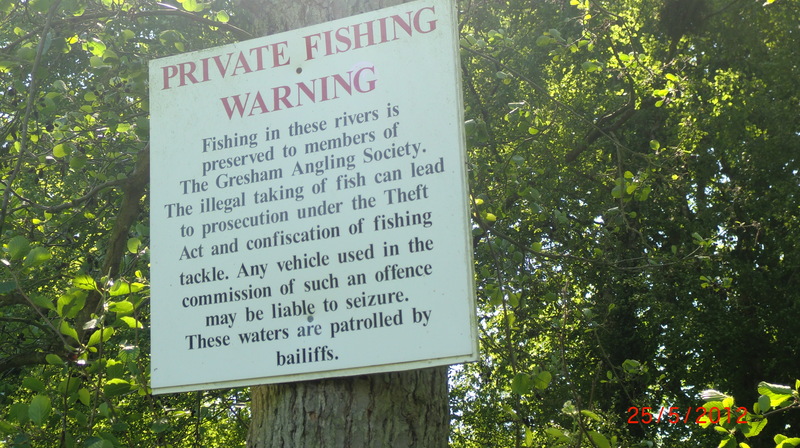 The Gresham water is very well cared for, and I applaud the officers of its club, for their diligence in protecting it in its natural finery, and for allowing me to fish it…I had the most lovely day, curtailed only by the need to return to London or a dinner engagement. I hope that Tony and Denise stayed on for the evening opportunity!